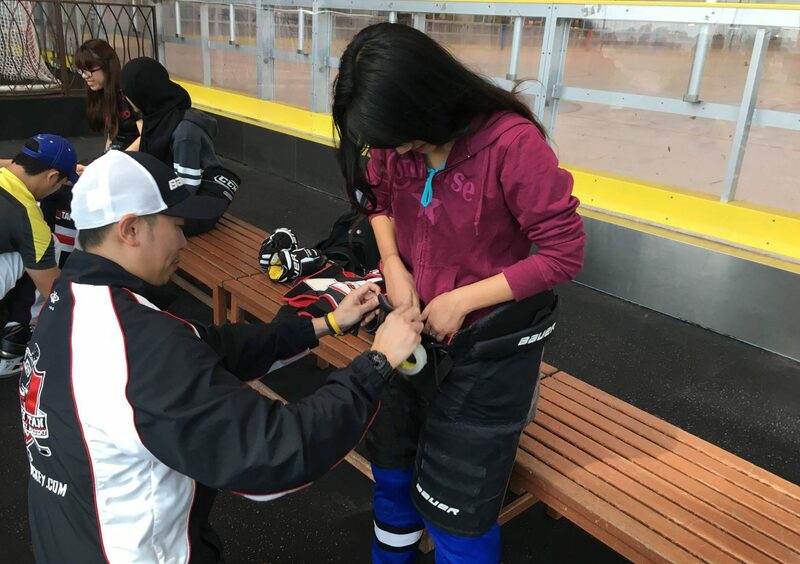 The sport of ice hockey is a rather uncommon one in Malaysia, what with our hot climate and overall weather unsuited for an activity requiring a cold temperature. You may be surprised to find it is actually a well-received sport in this region, with various tournaments and competitions held throughout the year, some in our very own country. 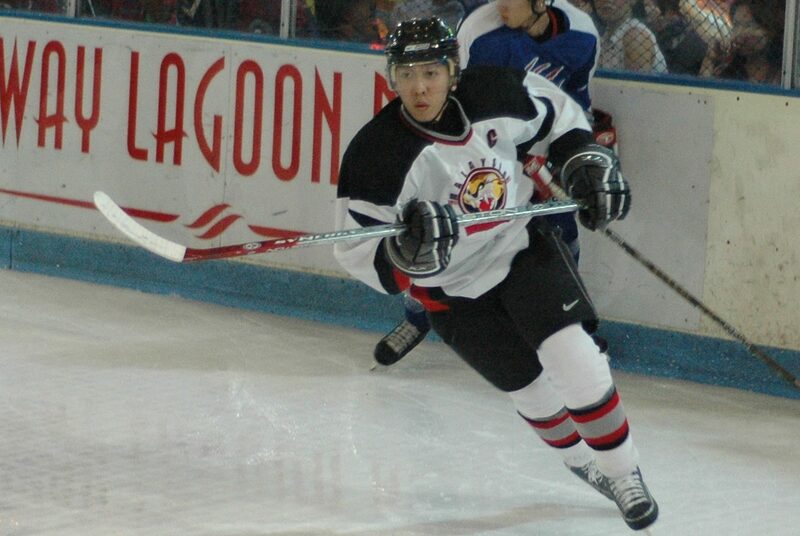 The image of ice hockey that is usually associated is of a more aggressive one, where harsh body contact and fast-paced movements may scare interested parties away. However, we took it to the experts who say otherwise. 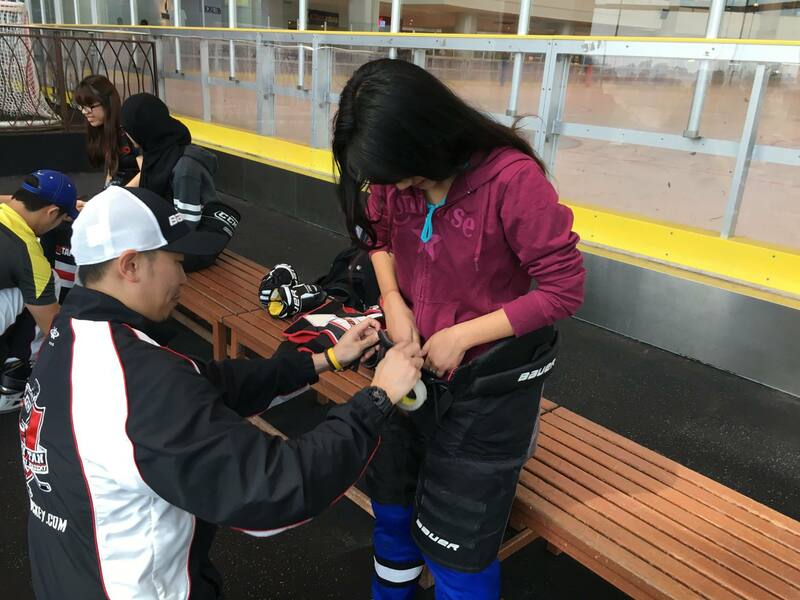 We had the privilege of meeting up with a national ice hockey player and a few members of the teams he leads and coaches to learn a thing or two about the sport and get to know what a veteran of this activity has to say about its popularity in Malaysia. 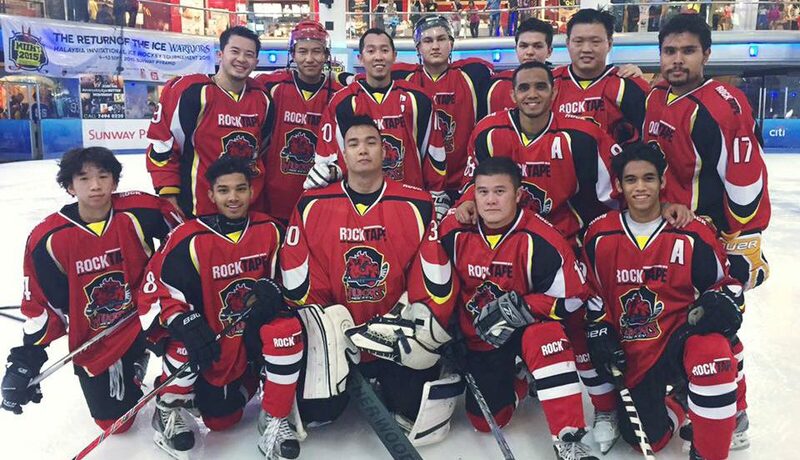 Gary Tan Khia Peng, a national ice hockey player as well as Captain of the Malaysia RockTape Wildcats has been playing this sport since the age of 17. 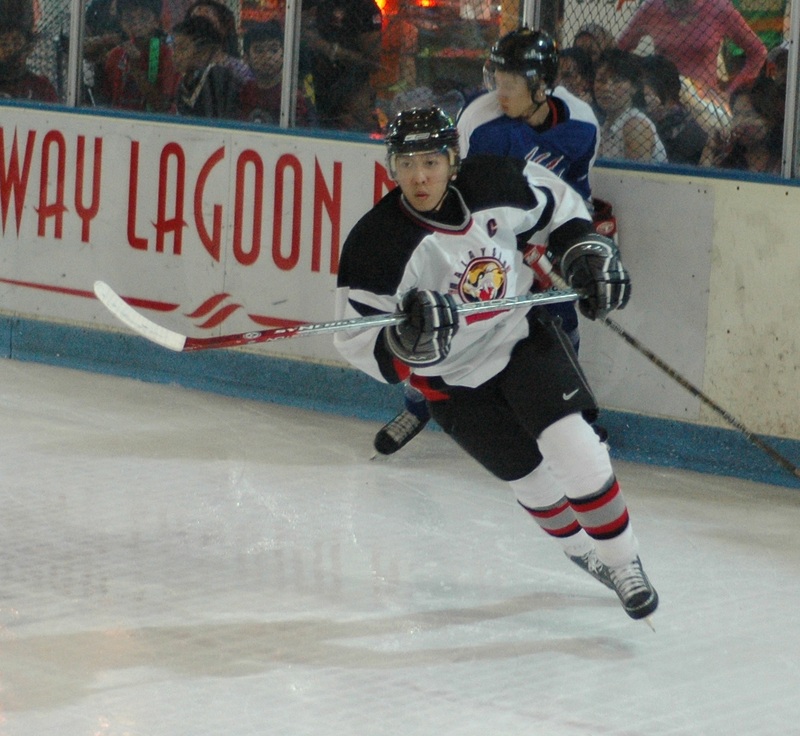 Having dabbled in roller hockey since he was 15, he became entranced with ice hockey when Malaysia opened its first ice skating rink in Sunway Pyramid where he naturally transitioned from skating on floors to ice. The 37-year old recently opened up his own academy in 2015 where he coaches and teaches ice hockey and skating while also balancing his duty as the head coach of the Jazura Girls team and the Wildcats. When we received the offer to learn a few things about ice hockey from Gary, to say I was nervous is a huge understatement. However, we turned up bright and early at the Icescape Ice Rink at IOI City Mall, Putrajaya, ready to meet Gary and the team. Incidentally, Icescape is the only Olympic sized Ice Skating Rink in Malaysia and one of the places where the teams regularly train. The rink spans 30m x 60m of ice surface and plays regular host to performances and competitions. It’s also open to the public for ice skating activities, and for more information on their opening hours, you can check out their Facebook page here. Gary was joined by his assistant coach, Shermund, as well as two team members of the Jazura Girls, Kimberly and Ain. All 4 of them helped us into our ice hockey gear to make sure we were padded and protected on the ice. On the ice, I was terrified just because I could barely balance but Gary and his fellow team members were very patient and understanding. Gary was generous with his tips and shared how he usually taught his own students. By the end of it, I managed to learn the basics of ice skating and what it takes to properly glide and slide across the ice. I was far from a professional but to be able to stand with no one needing to guide me much by the end of the session was an achievement. 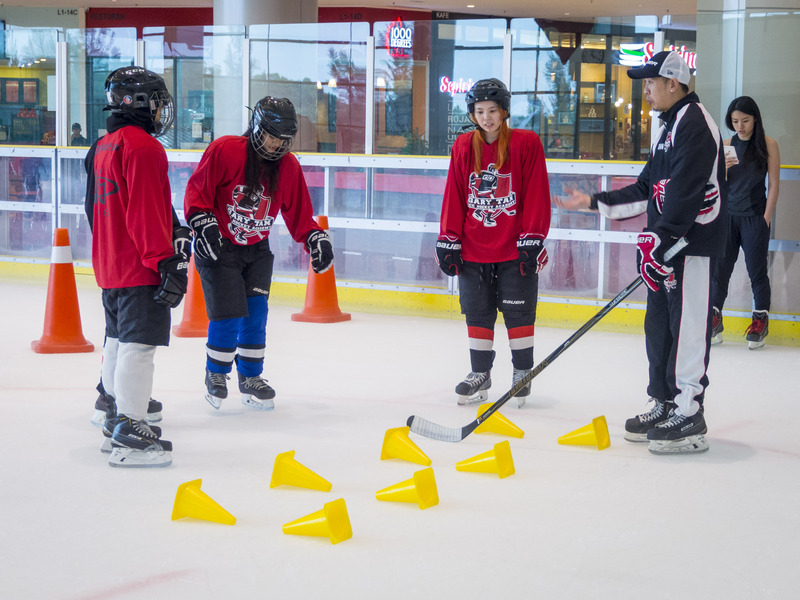 Learning the basics of ice hockey was also interesting as we got to learn the parts of an ice hockey stick and what rules apply to it. Knowing how to place the puck as well as the proper technique to grip the stick was enlightening and shows how much thought goes into this sport because not only do you need to worry about balancing yourself on your ice skates, you need to be quick and firm with your ice hockey skills as well which is not an easy feat. After a full hour and a half, we were drained and our bodies a little sore but we unanimously agreed that we had fun and it was a great experience. We spoke to the two girls from the Jazura Girls team on their view of the sport and the perceptions people have of it. One of the main issues Gary addressed about ice hockey was not about how difficult it is or how only certain people could play it—it was more on the public’s perception of it. 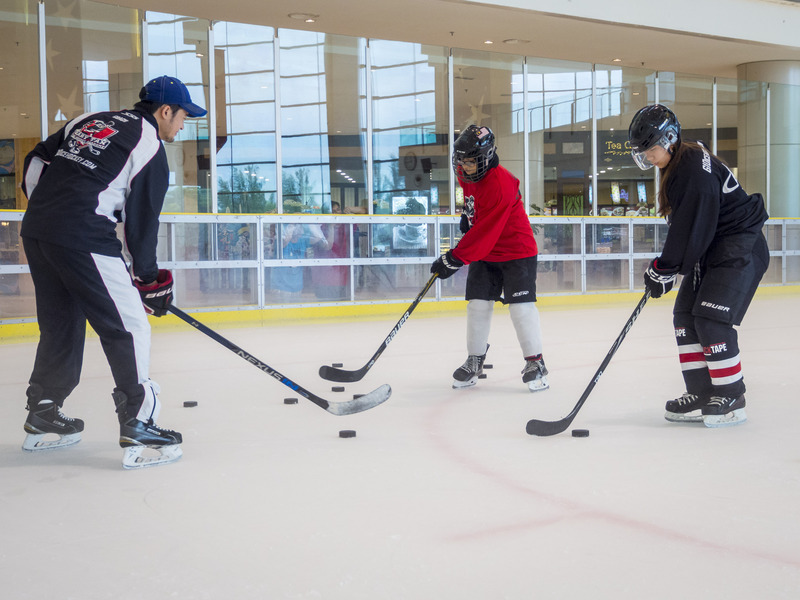 “People, especially parents, always have this fear for their kids when it comes to ice hockey. That’s not the case. I always avoid touching on topics that may tend to put people off about this sport because at the end, it’s truly fun and I think everyone can enjoy it,” said Gary. 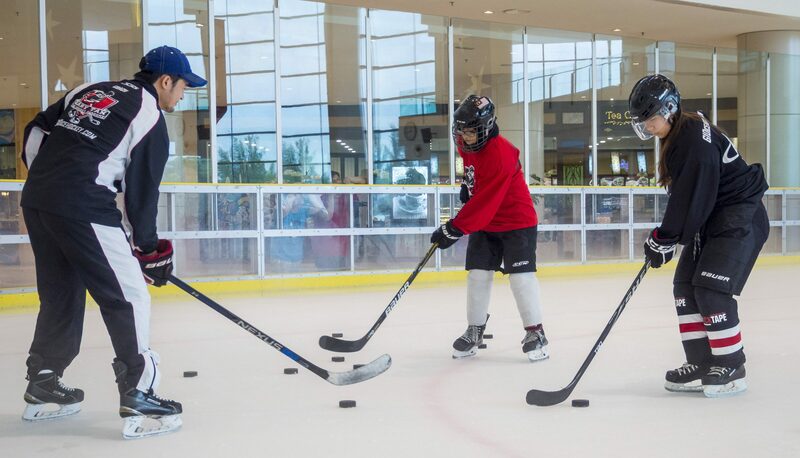 He also expressed his main goal of encouraging the sport to those who may be interested and that under proper guidance and teaching, even someone who has just learned to skate can learn how to play ice hockey if they get over the initial fear or misinterpretation that the sport is a terrifying one. “What I hope to achieve with my academy is to have this irrational fear of ice hockey go away. After playing this sport for 20 years, I still feel like I’m far away from my target but with time, I want to see this fun activity grow in Malaysia and make it big,” said Gary.